How do I use GO-BILLS? 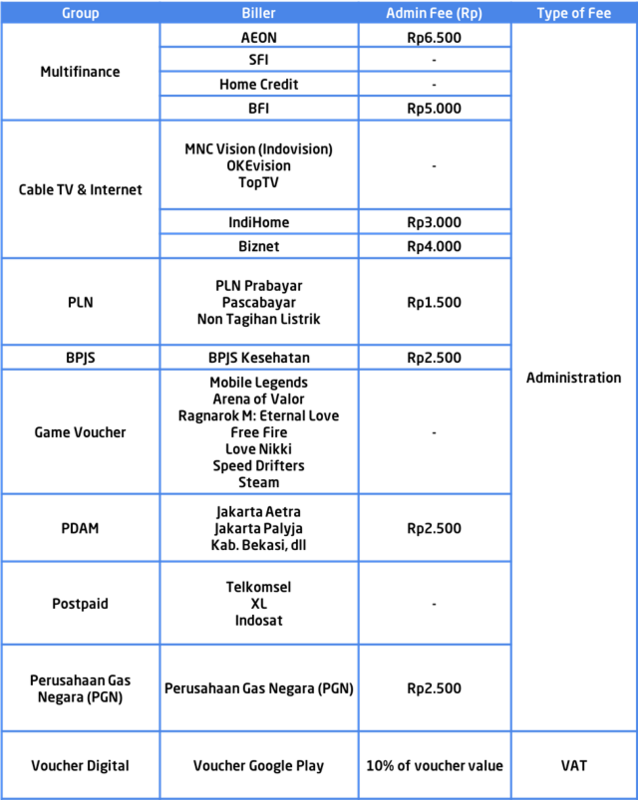 How do I see my GO-BILLS transaction history? Can I use my BPJS card right away after the payment is successful? 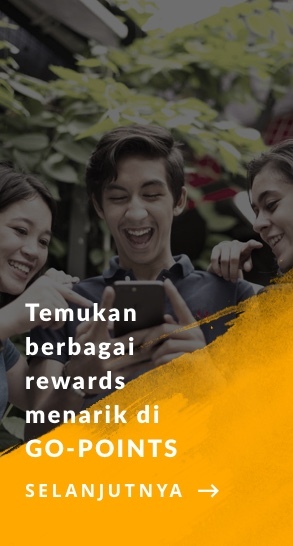 What are the terms and conditions of Kode Voucher Google Play? When is the bills' payment due date and the fines? 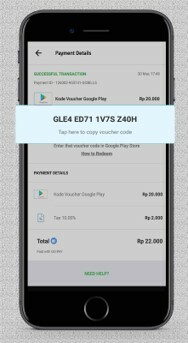 How to redeem Kode Voucher Google Play? How much is the limit of GO-BILLS transaction? Why is my bill amount in GO-BILLS incorrect? Remember that if you make a payment through GO-BILLS, you will be charged with an administrative fee for each service you pay. To find out the administrative fees, please click here. Is there a limit on payments in using GO-BILLS? Yes there is. 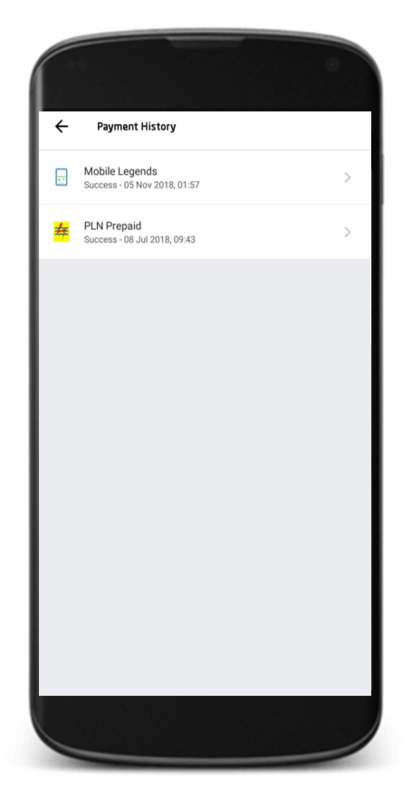 You’ll use your GO-PAY credits when making payment on GO-BILLS, therefore the payment limit of your bills or purchase of digital product vouchers depends on your GO-PAY credits. Why can't I make a payment through GO-BILLS? Why hasn't my bill been paid or haven’t received my purchase after paying through GO-BILLS? If your bill has not been paid or you haven’t received your purchase after you made a payment through GO-BILLS, please wait for up to 1 (one) business day. You can see a list of GO-BILLS transactions that you have made in the "History" menu located in the right top corner of the GO-BILLS home page. 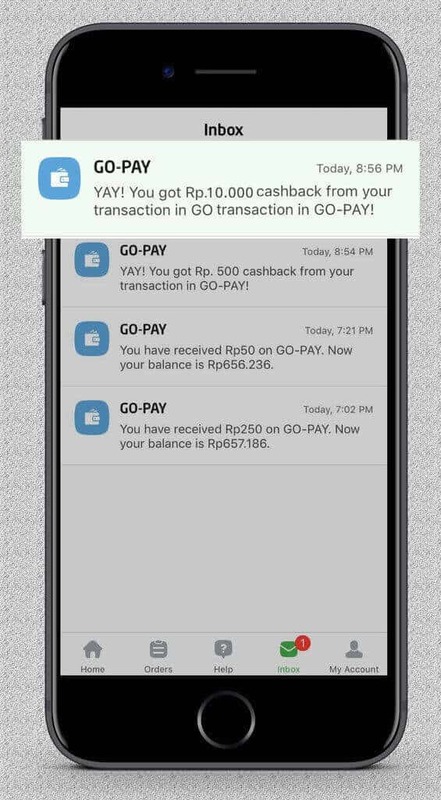 Your payment details will also be sent automatically to your registered e-mail in GOJEK app that has been verified. Or you can also re-send the receipt to your e-mail by clicking Send Receipt in your desired transaction history. 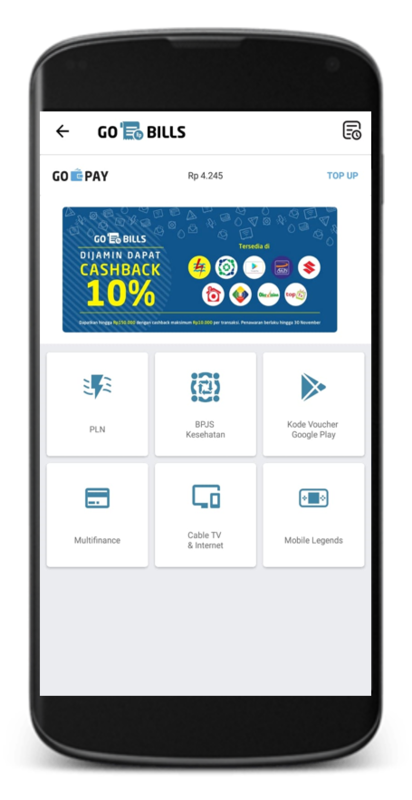 Get GO-PAY cashback when you make payment in GO-BILLS for electric bills, BPJS, even PLN Token and Google Play Store voucher! Click on the link below to see the terms and conditions. How do I know if I already received the cashback? After the payment is successful, you can use your BPJS card right away. If the payment transaction status is successful but your BPJS card cannot be used, please contact BPJS Kesehatan at BPJS Call Center 1500400 or visit their website at https://www.bpjs-online.com/cek-tagihan-bpjs/ for further information. No refunds, except as required by law; however much. 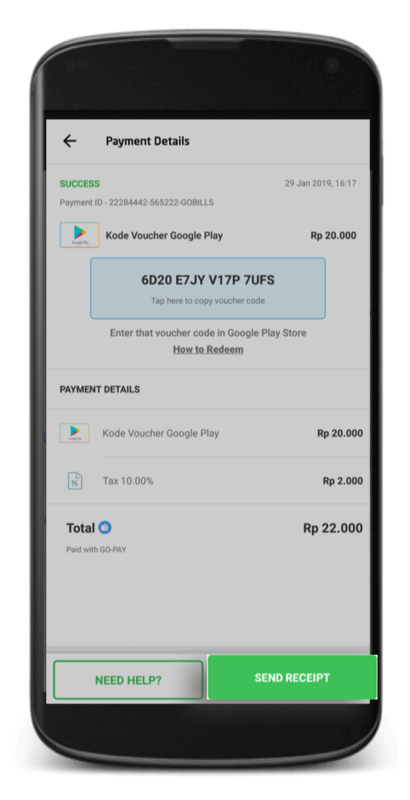 Redeem your Kode Voucher Google Play easily to your website or Android phone/tablet. Copy your Kode Voucher Google Play first from your ‘Payment Detail’ or ‘Transactions’ page on GO-BILLS. Since GO-BILLS payment uses GO-PAY credit, your payment limit depends on your GO-PAY credit limit. 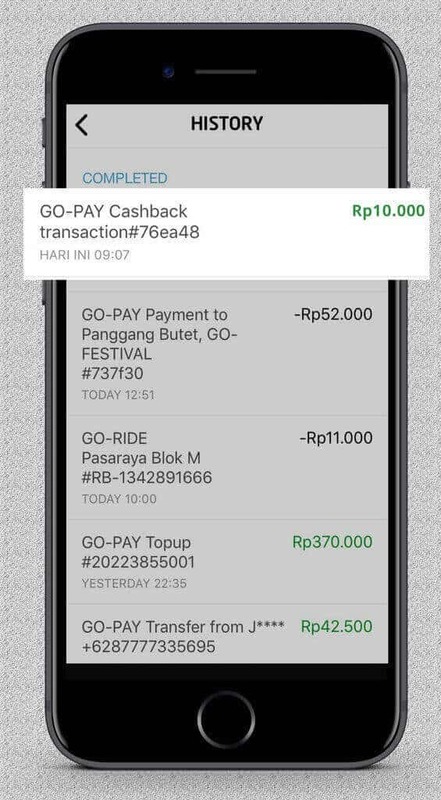 If the bills you want to pay is more than Rp1.000.000, you have to upgrade your GO-PAY account first. After that, you can top up your GO-PAY credit to the amount of the bills that you want to pay. Please note that administration fees and fines might change anytime according to the Biller’s regulation. 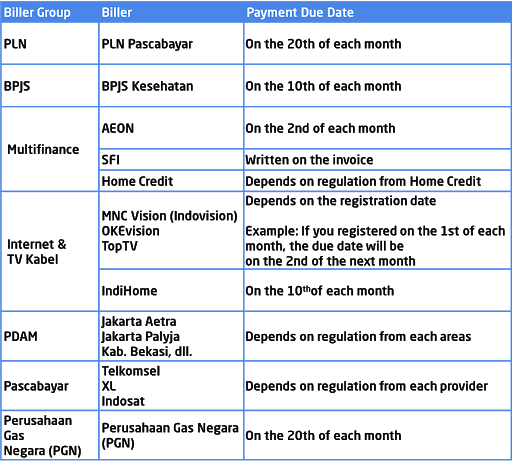 If your bills amount in GO-BILLS is different, please contact the Biller for further information.